After TISCO Foundation donated watchsmith tools and equipment to Tanapon Amyunuch in May, we made a visit to see how he was doing last week. 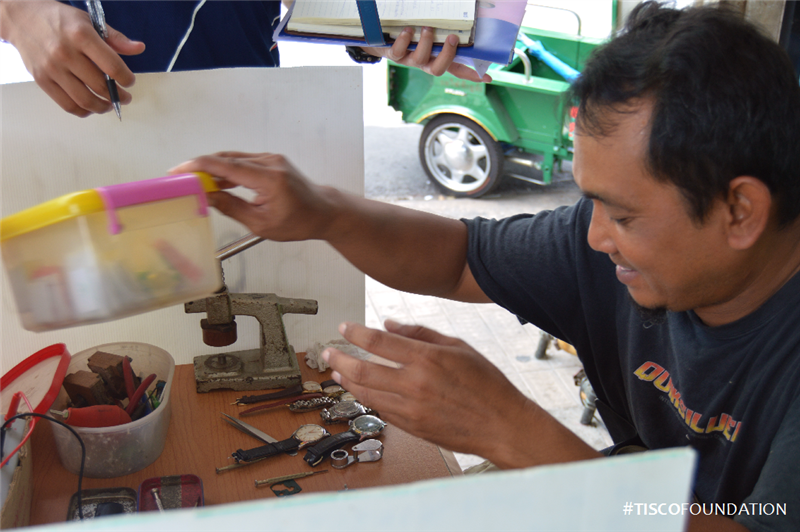 We found that Tanapon is still using what the foundation contributed to serve his occupation as a watchsmith. 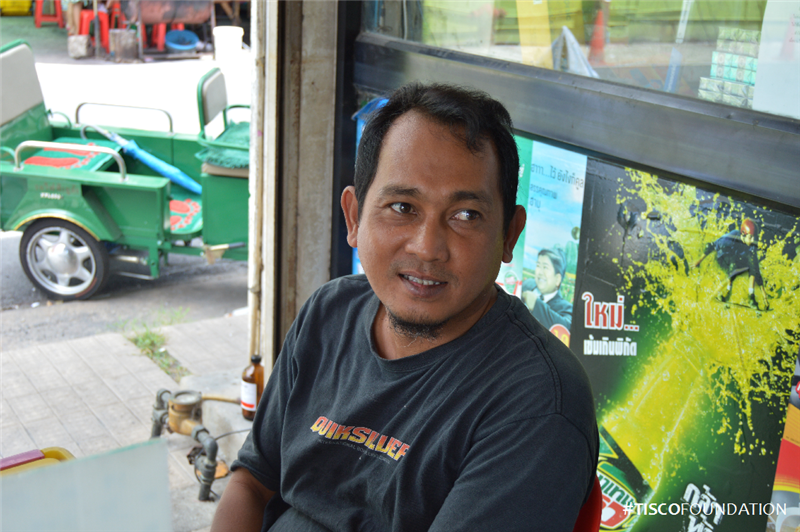 Tanapon says, “My life is doing so much better. I bring my children to the school in the morning. After that, I come to work until about 3 pm. Then, I pick up my children from the school and we all go home together.” Although his savings is yet growing as he just started this occupation, the most positive progress is that he has more time with his family than before.